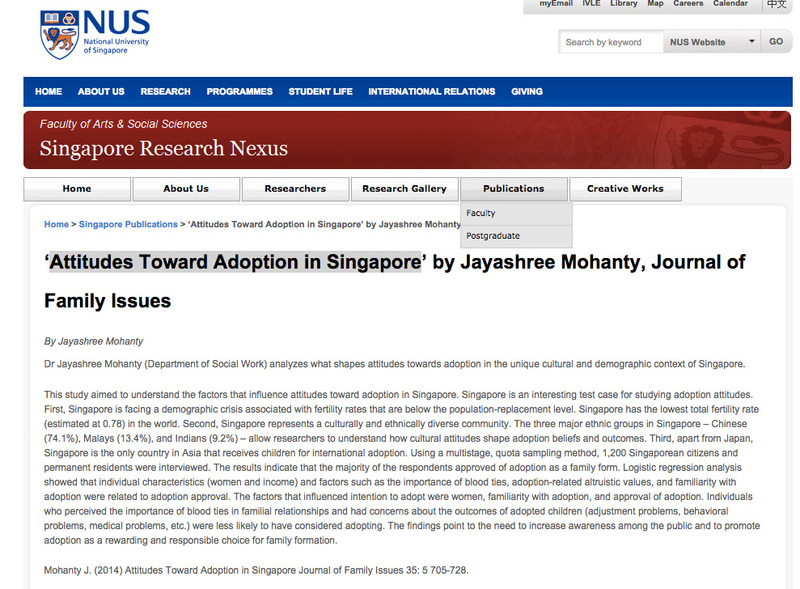 I came across an academic abstract titled “Attitudes Toward Adoption in Singapore” by Asst. Professor Jayashree Mohanty from the Department of Social Work at the National University of Singapore. Fortunately, I part-time in a university that gives me access to all kinds of e-journals, and so I was able to download this paper and read it in its entirety. While I got a bit lost with the statistics (it’s been a while since I came across dichotomous variables gah! ), the general findings were fascinating, especially given how this paper was just released late last year. I appreciate getting a big picture perspective of adoption attitudes in Singapore – Dr. Mohanty had interviewed over 1,2000 Singaporean citizens and permanent residents for her research. 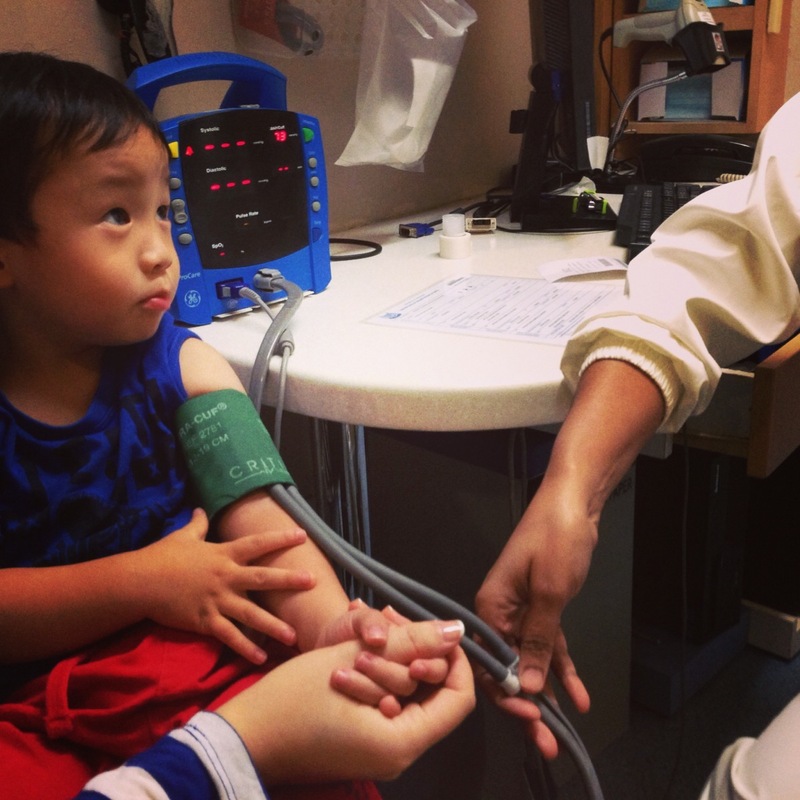 – 86.2% of Singaporeans approve of adoption, yay! However, this approval rate is lower than in studies conducted in Western countries such as the US (94%) and Canada (98%). – Importance of blood ties (blood ties seen as the strongest form of relationships in Chinese culture, and Islamic beliefs in purity of family lineage). Previous studies in other countries show that having unknown blood ties leads to social discrimination. – Familiarity/personal experience with adoption is positively related to favourable opinions about adoption and intention to adopt. – Only 47.4% were in favour of open adoption, largely due to the belief that contact with biological parents may interfere with bonding in the adoptive family, and challenge the parental role identity. – Indians and Malays are more favourable towards transracial adoption than Chinese; one factor being that transracial adoption is more prevalent historically among these communities in Singapore. My brain ached a little after reading it. But it’s such a rare and relevant resource! Do drop me a line at adventuresofsquirky[at]gmail[dot]com if you’d like to find out more about this study. Categories: Adoption Resources | Tags: adoption, attitude, singapore | Permalink. Last week was tough for Little C. He came down with Salmonella poisoning, but we didn’t know what it was until the 5th day, when there was blood in his stools, and the PD told us it was a bacterial infection and took a culture test to confirm it. We knew it wasn’t any run-of-the-mill bug, because he would wake up in the middle of the night sobbing with excruciating stomach spasms, and his fever never went away. One night, I burst into tears while he was shrieking in pain because I didn’t know what else to do. Last week was also when I was sick, running a fever with a bad cough. Last week was also when we were supposed to travel but we cancelled the trip. 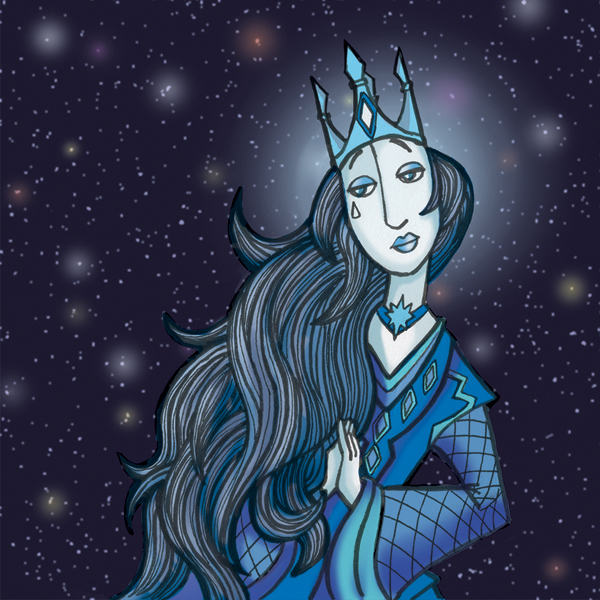 Last week was also when I had to ensure Squirky Book 2 materials were ready to be submitted to the publisher, give a three-hour lecture (when I barely had a voice) , and had to submit work to two clients. There has always be this part of me wondering if I love C. enough because I am an adoptive mother. Many people have asked me this: would I be doing more if little C. was my biological child? This has always made me feel like less of a mother. In the past, I usually answer honestly by saying that there’s no question of loving C because I have always loved kids, but I really wouldn’t know if I would be doing things differently because I don’t have a biological child. But last week, the answer came through. Last week, I just wanted to protect him and take the pain away from him and do everything I could to make him better. He is my son and I just wanted to take care of him well. I remember someone telling me that she doesn’t like to refer to herself as an “adoptive mum” because to her, when she parents, she is just a mother. And I finally know what she means. A child needs more than a mother. While I was overwhelmed with maternal selflessness, realistically, there was only so much I could do. I never felt so limited as a parent being sick, strapped for time and sleep-deprived. But I thank God that my husband is a loving, not-afraid-of-projectile-liquid-poop father who stood through it all like a rock (while doing a lot of disinfecting). Little C’s grandparents also helped to watch over him for a few hours here and there, giving us the time to deal with the other commitments. I could not have handled this alone. I’m so grateful Little C. is surrounded by love from other members of the family. Things are much better now, and we’re on the mend. To better days ahead (and definitely, a better appreciation of such days).